The World Blockchain Forum on November 8 and 9 (Thu and Fri) was held at the same NYC Hilton that Consensus was held at half a year ago. However, the turnout was poor. Still, there were some interesting discussions in this conference, especially the last one on investments. Poor Turnout and Underwhelming Speakers and Exhibits. The halls were spacious and sometimes empty while staff can be spotted idling. Most of the time, the keynote speakers had small audiences with about 2 out of 3 seats empty by my estimation. This was more or less what the keynote speaker room looked like. Some of the big names that had the most pull like Tim Draper or Thomas Lee, did not show up. Still there were many industry professionals and experts. First of all, the overarching theme was blockchain while the focus was on Security Token Offerings (STOs) and stable coins. These are the relevant topics in 2018 in the blockchain space. This conference was more about blockchain and NOT bitcoin. The crowd here is different from the crypto meetups and previous conferences I have attended. There are fewer libertarians and more men in suits. I whatever talk I found interesting and will briefly share my notes from each chronologically. Shixiang He is a partner at Fortune Venture Capital in China, which he described as the Sequoia of China. He discussed its focus on AI, blockchain and big data, and also his investment thesis of investing in blockchain solutions required to build up the ecosystem. Common investment thesis. Fund is big. Confirms that big players are still in this space investing in building it up. During the opening ceremony, the presenter mentioned that the organization was piloting stable coin DUSD. I tried to look up more details on this stable coin, but could not find any. This would be one of the dozens that came out in recent months. I could not find any information on this coin. Can you? Moderator Rik Willard and the guest Jefferey Wernick went at it. Rik was trying to frame the conversation to be about decentralization in blockchain, but Mr. Wernick, a self-professed anarchist focused on how enterprise blockchain is anti-bitcoin, and anti-decentralization. Mr. Wernick scoffed at the idea of a stable coins because no currency is ever stable. He believes decentralization of value is the future and that Uber and Airbnb’s exploration of blockchain at the moment suggests they understand this trend. At the end of the day a private blockchain is just a database. Only when its decentralized does it get the benefit of censor-resistance, immutability, etc. But Mr. Willard was right that people are not ready, especially governments, for complete decentralization, and that blockchain will continue to develop. But at the end of the day, I am not sure blockchain tech will generate much added value other than fr maybe a handful of cases like logistics, or other already heavily networked systems. At the end of the day, it is just a database. William Hinman, Division of Corporate Finance Director at the SEC, has the view that you can have a security token that eventually becomes a utility token. He said guidance on this is on the horizaon. Extraterritoriality is a key issue, highlighted by the Tezos case. Tezos is founded in Switzerland, but the SEC claims jurisdiction because it has investors in the US. Lack of qualified custodian, and lack of shorting options are barriers for more institutional investment. Companies operating outside of US jurisdiction still has to show “reasonable effort” in preventing US business. Basic AML/KYC might not be enough because the SEC/CFTC have long arms. Development in Reg-Tech is going to be key in building out the blockchain. Reg-tech: Compliance (KYC/AML) built into the protocol will be key in the development of this space. (Blockchpass.org is one of the companies that do this for projects). Liquidity is top issue for most crypto projects. Who might be initial movers into STO space? reg A plus type offering for regular investors (non-accredited) - but this has not happened yet even in the non-crypto space. Will not have same exposure as NYSE on CNBC, Bloomberg, etc. Bureaucratic incrementalism - it will take time to change. This panel was similar to the above in that they talked about STOs. But these guys were not all lawyers. Disclosure will be tricky in the STO space. New markets are opening up like piece ownership in art and luxury items. Private placement rules will be used - and there will be tech that creates smart contracts to implement them. Potentially big for the private equity space. Blockstream is a foundation that contributes to bitcoin code. 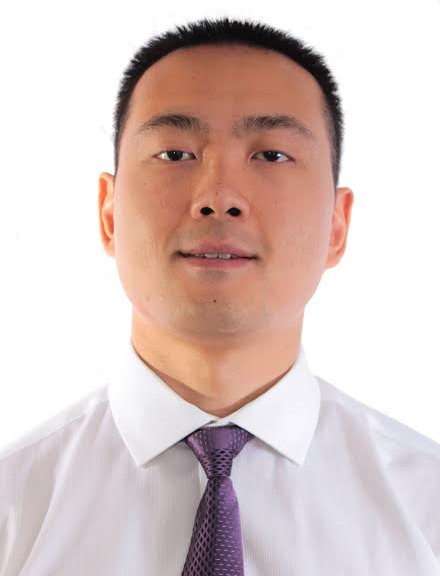 Samson Mow is the Cheif Strategy Officer. He discussed the Lightning Network after pitching Blockstream’s own Liquid Network. Federated sidechain that uses Schnorr signature. Prevents front-running by using LBTC, a 1:1 to btc token that is used to swap or peg in and out of the network. The routing process translates to 925gig blocks with 6.05mil TPS! My thoughts: I like the idea of a lightning network. In fact I like the road that bitcoin devs took in developing layer by layer. I believe Ethereum is overly ambitious by trying to bundle all the goodies in one layer of its protocol. If you think scaling bitcoin is hard, scaling ethereum is going to be nearly impossible without some major compromises. Discussion with Ripple CMO Cory Johnson, moderated by CoinDesk reporter Brady Dale. This was essentially an overview of Ripple and XRP - no controversial topics in this discussion. But Brady Dale did ask Cory Johnson about whether Ripple would be able to get the 12 banks it claimed it will get by end of 2019. Mr. Johnson revealed that there are zero banks using Ripple products right now outside of testing. All “partners” are still in testing phase. Mr. Johnson believes credit unions are very interested. 3 products: 1) Xcurrent - similar to SWIFT. 2) Xrapid - uses XRP in the Xcurrent system. 3) Xvia - under development. Johnson believes small banks willing to innovate will be first partners instead of big banks. Santander is a big bank that might be willing to innovate. When asked if selling XRP is sustainable, Johnson gave a round-about answer that essentially said no because he didn’t say yes. When asked about stable coins and whether XRP needs to be stable: Johnson said the transaction is so fast it doesn’t need to be stable. (Again I am not sure this wold be the case in practice because they do not a period of live transactions to evaluate). 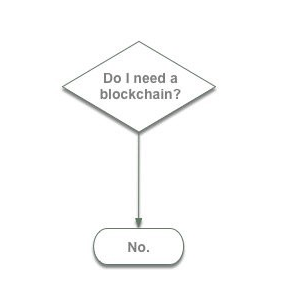 I am not someone that dismisses blockchain for banking. But I feel like I am waiting to be convinced that it works! I am not seeing evidence, and this discussion left me with more doubts about Ripple and XRP as I had before. I found this guy very sensible. We might be heading into crypto winter after the mania. (I think we are already in that, but maybe he means there will be even more downside). In my opinion this space is primed for utility tokens without the necessity of decentralization. Really, we are looking at the Chucky Cheese token model with some twists built out a larger network. The pitch gave me confidence that UniKrn is a legitimate project that will gain traction. Big names like Mark Cuban and Ashton Kusher are invested in Unikrn. Watching others play video games is a thing and Unikrn is trying to take profit from this by being a bookmaker for esport matches. Got license for crypto and fiat to be used in betting (from a small country in Europe). People can earn Unikrn by just playing games. In another module, you can play games and bet on yourself. Gamers can create events on the platform. Customers bought tokens, NOT investors (a rare case). They have Nevada Gaming Commission’s blessing to operate in several casinos. Live peer is a crowd computing project for videos on the Ethereum network. Live on the Ethereum chain for 6 months. He noted that Devcon 4 (DCIV) had a huge turnout and no ICOs. What do we know about the state of Ethereum scaling and DApps? Serenity is the next upgrade. (I have read that it has been delayed several times). Ethereum will go from PoW (proof-of-work) to PoS (proof of stake). Research is done, but implementation is taking forever. 8 teams working on this. Includes enhancements on scalability, security, governance and cross-chain interoperability. Thousands of DApps added each quarter - but user counts are still very low. Most popular dapps at the moment are exchanges, games and collectibles. This was an interesting panel with good questions from CoinDesk’s Brady Dale. The panel involved some big crypto funds. Introduction. Then what is an exciting project going or gone live this year? Galaxy: Fewer ICOs in 2018. We invested in BitGo. Also, VR space: High Fidelity (founder of second life). Pithia: Never invested in ICOs, always infrastructure. Lucidity for ad tech is exciting. Dekrypt: Interested in scalability, privacy and interoperability. Invested in Oasis - open source custody protocol using zk-snarks for privacy. Vanbex: Incubator/VC focused on Infrastructure and protocol plays. Invested in private of Open Garden - mesh networking, crowd WIFI. airdropped in Stellar. More projects now raised on equity - does this make it harder to build than (utility) tokens? Pithia: Equity raising will be more stable. ICO was volatile. Vanbex: Open source eroded with shfit to STO and for profit model. This is unfortunate. What are the metrics now with STO (instead of ICOs)? Dekrypt: Team-Tech-Community will still be key. Tech is hard to evaluate as always. But metrics are similar. Good tech. No users. Opinions? Dekrypt: We are not concerned with adoption in the short-term. Looking at future use. Vanbex: Rootstock is an example of great tech but no users. Community believes privacy is more important. But most going KYC/AML. Which side will win? Galaxy: KYC/AML are the 6-most hated letters in crypto, but more investments will be going into the regulated space. Pithia: KYC/AML is key for projects that solve problems for the world TODAY - more practical in current environment. Vanbex: Sees 2-tier model: highly regulated vs. Dev focused. Merkle mining for example. (my thought: Isn’t that what Live peer does? Pithia: Yea this is the first step. We will have more coordination and practical applications in the future. Dekrypt: Makes sense not to invest in user apps now - too early. Vanbex: Yes, in bear market, devs are building at protocol level. But not sure even these projects will be adopted by blockchains. SEC coming down on ether delta, opinions? Galaxy: Their fine is small compared to their revenue. Reflects common mindset - go ahead and operate without clear guidance. Pay fines later. Vanbex: Etherdelta book was NOT decentralized. Fine shows what SEC considers as decentralized, and EtherDelta was not. Not surprised - does not change anything. How to move forward without clear guidance? Galaxy: SEC is actually pretty innovative and listens to crypto organizations before giving guidance. Vanbex: Wait for clear regulation before distributing tokens. Focus on private funding and building for now. Dekrypt: Yes, its been purposely slow, but will move faster with signals from other countries. Regulations will be more clear towards what is security and what is not. Blockchain will be adopted by some businesses. Blockchain use case might not be suitable for most businesses. There might be other database structures that are better. Return to investors might by harder to come by as the space becomes more mature, with less hype.